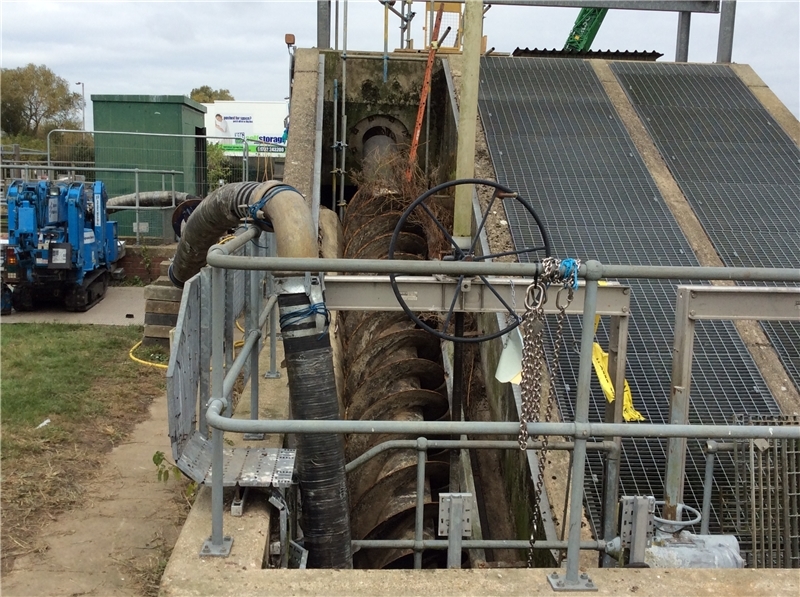 Spaans Babcock recently completed the replacement of three screw pumps at a UK waste water treatment works. 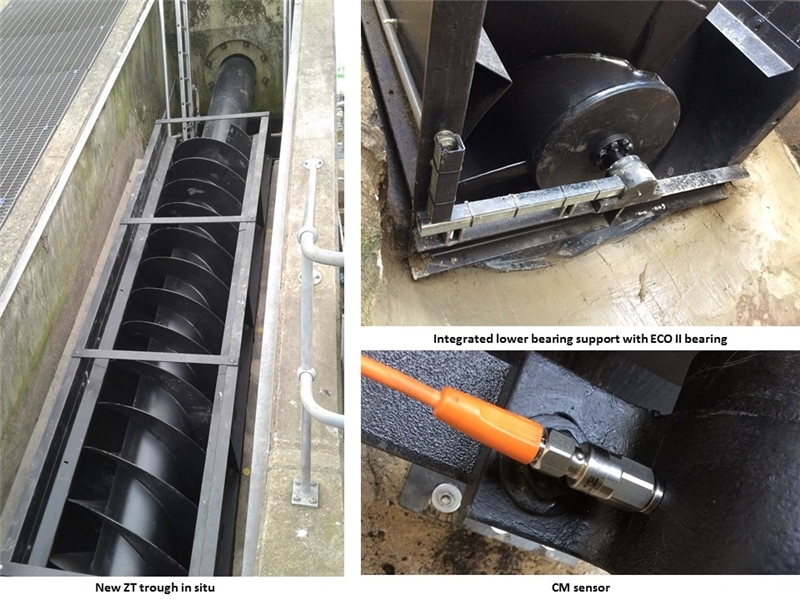 The project involved the replacement of three 38 year old conventional screeded trough screws with modern ZT design which have integrated steel troughs. Each of the 1.05 metre diameter screws have 11 kW motors and a capacity of 250 litres per second. Significant benefits of the ZT design troughs include faster installation as there is more off site assembly and no trough screeding is required. This gives the added advantage that Health and Safety risks are reduced as the requirement for entry into the confined spaces is kept to a minimum. The project included the installation of new high efficiency drives incorporating IE4 motors, the latest design ECO II bearings which will keep ongoing maintenance to a minimum and are environmentally friendly as they eliminate the discharge of grease into the waste water. The screws also include the latest Condition Monitoring technology further enhancing the maintainability of the plant. 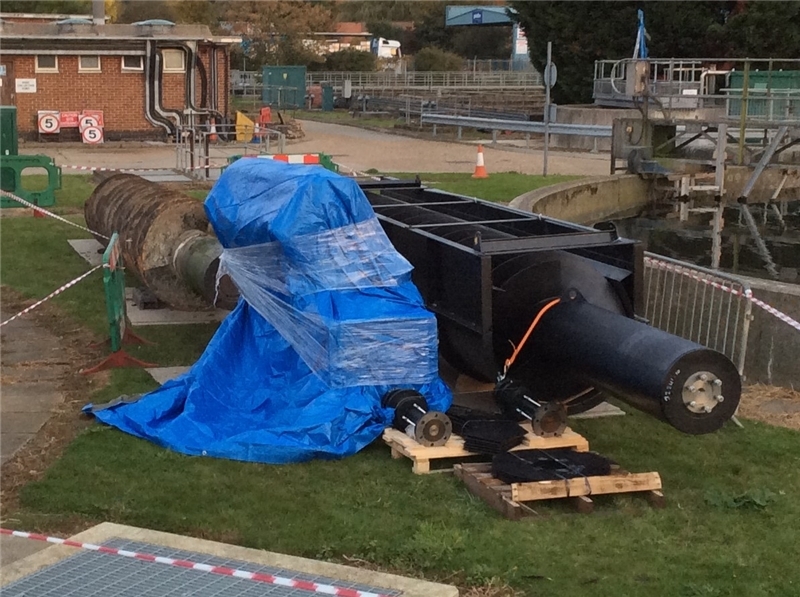 These pumps will provide another thirty years plus of trouble free operation from this critical pumping station.